With the $15 million sale of Icebergs, John Singleton may be pulling up stumps in Bondi, but it seems the eastern suburbs' loss is the central coast's gain. 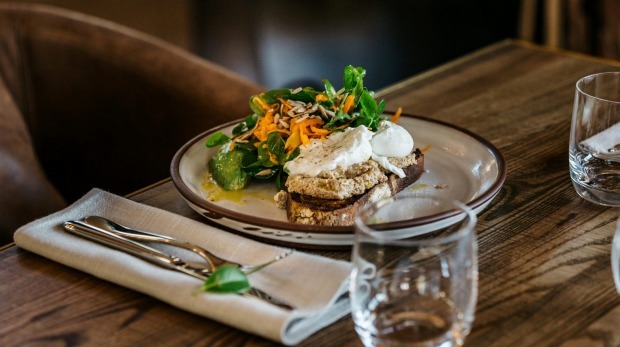 The Sydney businessman is part of the team behind a new rustic restaurant-bakehouse at Mount White, an hour's drive from the CBD. Set on 11 hectares of bushland just north of Brooklyn, Saddles is pitched as a luxe homestead selling the country experience to daytrippers heading north. 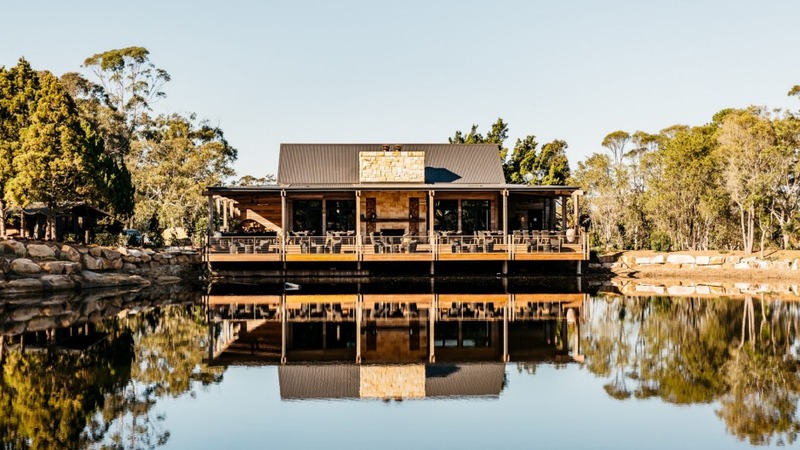 Perched on a private dam, with sandstone fireplace, wrap-around verandah and pianola, the project combines formal dining with a casual bakery, serving a seasonal lunch and Friday dinner menu alongside house-made sourdough, tarts and pies. 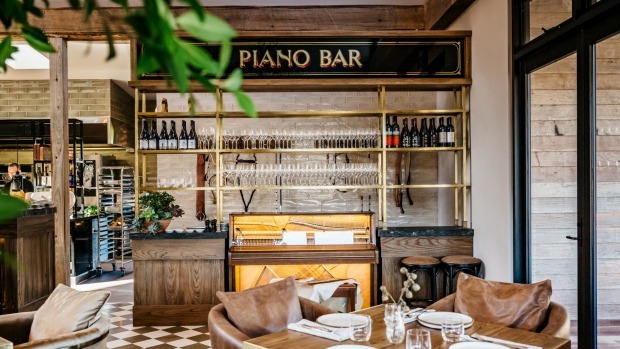 It's the fourth venture for restaurateurs Cameron and Hayley Cansdell, who come via Bombini and Bombini Pizza at Avoca Beach and Fish Dining at Point Frederick, and worked with The John Singleton Group and White Dickson Architects to bring the ambitious concept to fruition. Executive chef Cameron's menu runs from modern to nostalgic, including whole flathead, free-range roast chicken, sheep's curd tarts and fried lambs' brains. Expect sweet and savoury pastries: pies made with grass-fed beef cheeks and wine; pork and fennel sausage rolls; and lamingtons made from Valrhona chocolate and raspberry cream. Native ingredients such as finger limes, lemon myrtle and Davidson plums will make an appearance, and the 20-strong wine list is entirely Australian, as are spirits. "I wanted the menu to feel like you're going to the country," Cameron says. "I wanted it to feel wholesome, simple and elegant and I wanted the food to be comforting and clean." 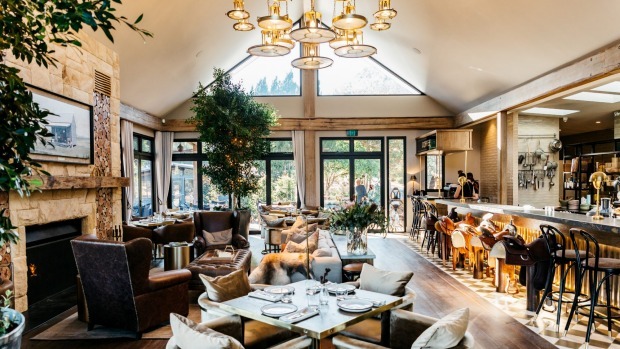 The building itself was inspired by a painting of an old shed by a friend from Singo's advertising days, which now hangs above the fireplace, while the ornate 120-seat interior is the work of Michelle Leslie Design, incorporating marble, hard woods, French doors and a brass-scalloped bar. Saddle chairs come via artisan saddler and stuntman Heath Harris, who worked with Singleton at his nearby Strawberry Hills Stud and appeared in the famed hill scene from The Man from Snowy River. "[The building] was made from the ground up. A lot of people would think it's been here for 100 years but it's only been eight months," Cameron says. The couple plan to host cooking classes and weddings, and introduce heirloom ingredients from an on-site kitchen garden, plus a retail nursery and shack selling preserves and cheeses. "Hayley and I are very passionate about the central coast," Cameron says. "It's such a lovely region to promote - it's sort of like working in a holiday destination." Open 8am-5pm daily; 5-8pm Friday. Saddles, 20 Ashbrookes Road, Mount White, saddlesmtwhite.com.au.